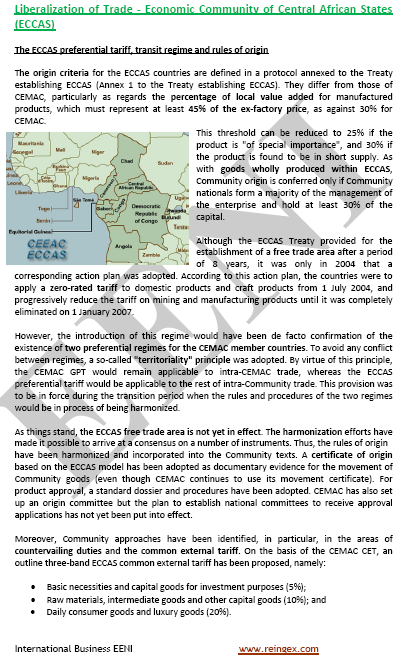 Syllabus of the Online Course (Subject): Foreign Trade and Business in São Tomé and Príncipe. The course materials are available in or São Tomé São Tomé e Príncipe Santo Tome. Description of the Course / Subject (Doing Business in São Tomé and Príncipe). More information about São Tomé and Príncipe (African Portal - EENI Business School & HA University). São Tomé and Príncipe belongs to the Central African Economic Area (African Civilisation). 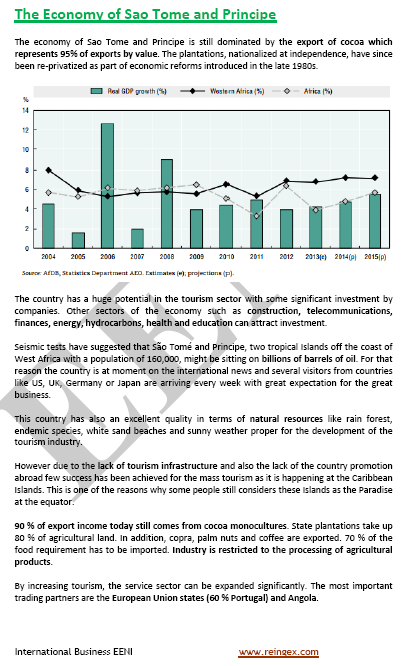 São Tomé and Príncipe: A “tourist country” and a cocoa exporter. The State plantations occupy 80% of the crop area of Santo Tomé. The entry into force of the Agreement on Economic Cooperation between São Tomé and Príncipe and Portugal is one of the measures announced by the Central Bank of São Tomé.